Being able to attend any committee hearing wasn’t AOC’s original intent at all when she decided to rely exclusively on small donations. No. It’s a second-order consequence, a by-product of avoiding to rely on a small pool of large donors that have to be continuously groomed. Second-order consequences aren’t easy to predict or even to spot, but they can have dramatic effect. Leveraging them, even accidentally, can be a great way to gain a competitive edge, as Ocasio-Cortez’s example shows. When we look at open source, we tend to only consider the codebase, the actual lines of code, and believe that’s where all of the value lies. And precisely because it is open source, because it’s sitting there, available for all to use, we fail to see how we can get any value out of it beyond using the code for free. But that’s just because we ignore second-order consequences. Think of the relationships that are built around an open source project. Think of the network of talent you can tap into when you’re faced with a weird performance issue… or have a position to fill. Think of the soft-skills your team hones as it drives a new feature forward, collaborating with engineers from all over the world. Think of the free training your new hire gets as their pull request is reviewed by a senior engineer working for a competitor. Think of the increased efficiency your team gets as a result of this free training and network, or how your company’s open source leadership makes it attractive to top talent and reduces your churn. There is much more to open source than the source code itself. 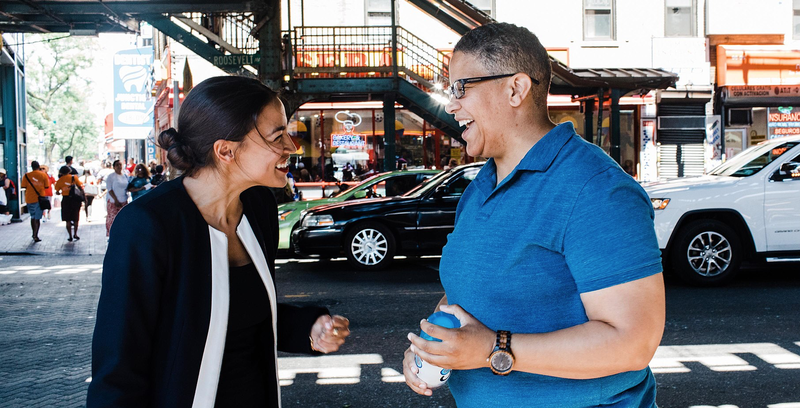 Even if you started contributing to open source because of strongly held beliefs — just as Ocasio-Cortez decided to focus on grassroots funding — it’s time to recognize the opportunity… and seize it. Not only will it make your business more competitive, it’ll also help you invest more confidently in open source going forward; nothing beats aligning beliefs with business outcomes.